This is a reference post for those of you interested in Hebrew letter/number symbolism. You will be able to see related articles and reference information under the new menu heading Misparim — of which I will be adding to periodically. Studying Dr. Hollisa Alewine’s The Creation Gospel has been extremely helpful in making many of these determinations. I hope you will take the time to learn her material for yourself. 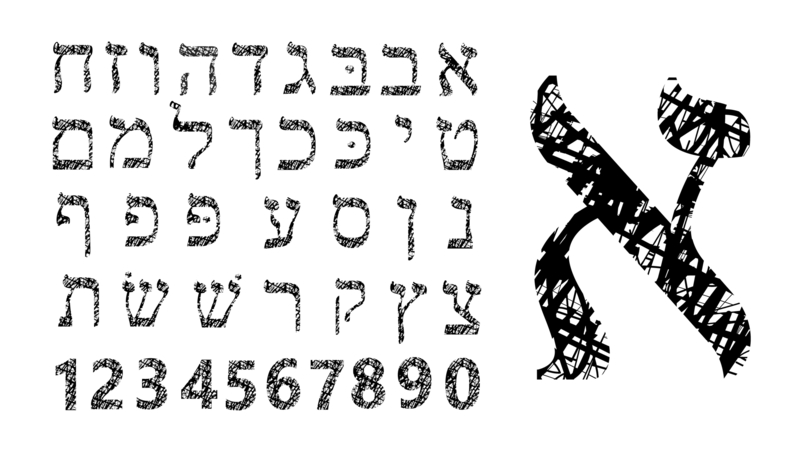 Efes (modern Hebrew). Ancient/Biblical Hebrew doesn’t have a representation for number zero. The closest words would be no or nothing. In English, we typically think of zero as nothing, but there is another side to this coin. 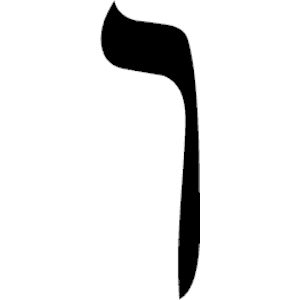 “No” in Hebrew is “lo”, and is spelled lamed, aleph as pictured to the right. If we reversed these two letters, it would spell “El” or God. Thus, zero indicates what is hidden or unknowable or uncertain. 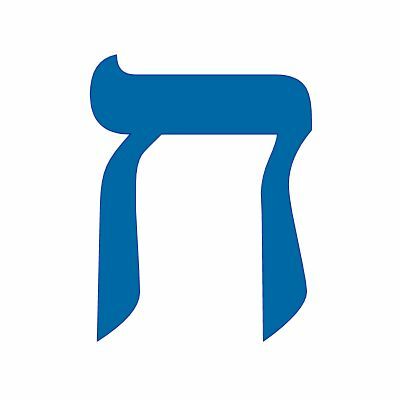 It can represent what is eternal and limitless or something that has great potential, and it also signifies something unquantifiable and uncontainable such as the Mighty Elohim (God). Although zero doesn’t have a value by itself, when placed behind another number it multiples or elevates the quantity. For example, 70 is the number 7 followed by a zero. In a case like this, zero has heightened or “ramped up” the number seven. When studying higher numbers, zero should be viewed with this in mind. The negative connotations of zero would be exactly what you probably suspect: a lack of harvest, reward, or effort. Since we have many idioms in English that represent zero or nothing, sometimes zero will be just that. For example, we say things like, “A big, fat goose egg” to indicate a low score or reward for work. In this sense, a dream with such idioms or an actual zero could imply uselessness or wasted efforts. On day 1 of creation (lit. One Day), light is separated from darkness. Instead of indicating division, this demonstrates the set-apartness of God and His Light. This day is called tov or good. It is akin to being called out. The first day of creation is called “One Day” rather than the “first day,” insinuating the wholeness and perfection of the day and a prophetic future return to Yom Echad (One Day). In other words, the first day of creation is described with the cardinal number “one” in Hebrew; whereas, the remaining days are described with ordinal numbers (2nd, 3rd, 4th, etc.). Echad (one) and ahavah (love) are linked, because their Hebrew numerical value is the same: 13. For more on 13 and other words that equal 13, click here. Shtayim [f.], shnayim [m.] Divide, difference, oppose, judge, discern, witness, conflict, blessing, abundance, building, couple, dying to self. It is also related to the Hebrew word shanah, meaning change or repeat. Context determines meaning (as with all numbers). Ideally, two should mirror one, as in the “two shall become one flesh.” Thus, making a true “pair” that works together like one’s ears, eyes, nostrils, hands, and feet. There are two great commandments (love God/love neighbor), two houses of Israel, two sticks, two sisters, two olive branches, two silver trumpets, two leavened loaves on Shavuot, two cherubim guard Ark of the Covenant, two good spies (Joshua and Caleb), and two witnesses mentioned in the Bible. What is opposite is meant to complement for a blessing, not bring division and conflict. There were two pillars that protected and watched over Israel in the wilderness: a pillar of cloud by day and a pillar of fire by night. These watery fire pillars reflect the earthly waters and the heavenly fire waters of day two of creation. 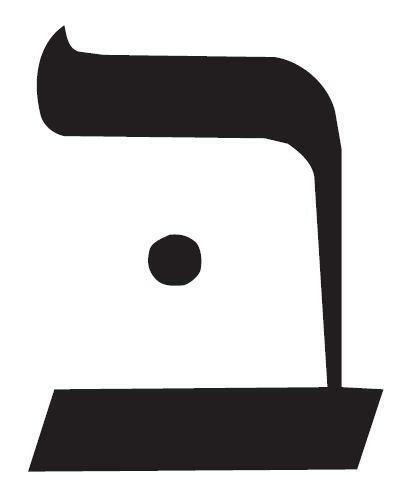 In the sense above, two (ideally) is meant to bring a blessing, barukh/berakhah, which begins with the letter beht. To bless, in simple understanding, is to multiple something or someone. With the number two, multiplication becomes possible. When two isn’t reflecting the positive side of one (unity), it denotes division rather than multiplication (blessing) in the Bible. For example, the second day of creation DIVIDES the upper and lower waters, the second sentence in scripture speaks of chaos, and the second chapter reveals two trees representing life and death. The Apostolic Writings (N.T.) also confirms two’s pattern of division or separation. Consider the second books of Corinthians, Thessalonians, Timothy, Peter, and 2 John; they each speak either about the enemy/antichrist or the assembly in ruin/apostasy. Two presents one with a choice, and hopefully that choice will lead to life and blessing, a positive change that repeats through each new cycle or shanah (year). 1st letter of the Bible is an enlarged Hebrew beht. This implies that God’s intent from the very beginning is to expand/build His House. The two (male & female) are meant to join together to form one (echad) flesh, bringing unity. On day two of creation, the heavenly and earthly waters are separated; this creation day is not called tov (good). Heaven and earth are meant to reflect (mirror) one another in oneness. Mankind has two natures. They mirror the TWO trees in the Garden, the Tree of Life and the Tree of the Knowledge of Good and Evil. Christians might liken these to the Christ-nature and the sin-nature. Jews, however, refer to the two natures of man as the yetzer hara and the yetzer hatov. Literally this is the evil inclination and the good inclination. I prefer the latter designation as it doesn’t completely demonize the lower, earthly nature. The Bible declares that the second tree produces both good and evil. The lower nature, the evil inclination, is simply the flesh (mind, will, emotions, instincts, appetites, and desires). Man and animals share this earthly nature, thus it is not wicked or evil. Humans are told to master or rule these impulses, not deny that they exist or that one can live a human life without them. (Gen.4:6-7) Two requires one to discern this difference. It also requires one to look inward at the heart to see which nature sits on the throne, the shamayim (heavenly waters) or the mayim (earthly waters). The separation on day two divides between the earthly and heavenly waters, the second feast (Matzah) separates one from leaven, and the second Spirit of God (Binah) separates materials in order to build. Since this day is not called tov or good, we must be very careful in how and what we separate. Division is only truly good if it leads to building and gathering (multiplication), not tearing down and isolation (reducing/division). Third Hebrew letter: Gimel Numerical value of three. Pictographic meaning to ripen, reward, nourish, mature, recompense, benefit, foot, and camel. On day 3 of creation, the waters are gathered together, dry land appears, and the first seeds, plants, and trees spring to life. Negative side: Hands that shed innocent blood, deeds that tear down instead of ones that gather and build, sowing seeds of death and discord. (Pr. 6:16-19) It’s important to note that “hands shedding innocent blood” is also figurative. When we speak slander or even the truth in anger, our words can cause major destruction and damage. Words have the power to shed innocent blood and strangle the life out of another person. This is the antitheses to the 3rd Spirit of God, Counsel (Etzah). Hence, wicked counsel is hands that shed innocent blood. The fruit and seeds from our lips (pens & keyboards) should be pure, not poison. 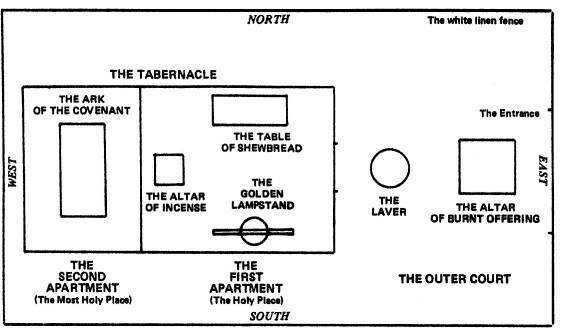 The House/Tabernacle/Temple has 3 primary sections: the outer court, the Holy Place, and the Most Holy Place. Thus, the number 3 teaches about 3 levels of holiness in which YHWH dwells among His people, each more intimate than the other. Within the Holy Place, there are 3 pieces of furniture: the Menorah, the Table of Shewbread (presence), and the Altar of Incense. On a daily basis, this is as intimate as one can be. The menorah is the Light and the Tree of Life. It is fueled by the precious oil of the Holy Spirit. The Table of Presence (literally the bread of “faces”) has 12 loaves, one for each tribe of Israel. They remain in YHWH’s presence all week and are refreshed every Shabbat. Clearly, these loaves (which come from the grains created on day 3) are the ground seeds of Torah that live in all Israel. They are a memorial of His Word to His people. They also recall the double portion of manna (heavenly bread) given on day 6 so one can rest on the seventh day as God commanded. The Altar of Incense is the closest piece of furniture to the Most Holy Place. It’s fragrance and covering cloud of sweet smelling smoke is indicative of prayers continually ascending to the Throne of Adonai. Notice that all three pieces of furniture in the Holy Place involve food stuffs or fuel that are derived from PLANT life created on the third day. Peter sees a vision in Acts 10 of a sheet that descends from heaven three times (heavenly witness). He would soon meet three Gentile men, and Peter wasn’t to think of them as something unclean or unfit. Peter explained his own vision, which had nothing to do with food or God changing His Law or Holy Word. (Acts 10:28, Mal. 3:6, Mat. 5:17-20) In the natural, Peter was “hungry” when he had this heavenly vision. The men that were coming to him were spiritually “hungry” for the message that Peter had for them. (Acts 10:33-48) In his discourse to those hungry for the Words Life, he mentions that he is a witness to the third day resurrection. For a more in depth Hebraic understanding of Peter’s vision, see Peter’s Vision: Beacon or Bacon? by Dr. Robin Gould. Arbah [f.], arbahah [m.] Authority, government, rule, dominion, calendar, time, creation, kingdom, fullness, receiving Torah (Law) and Holy Spirit. Judah was 4th born son and has the scepter of rule. Pictures completeness much like seven. 4 matriarchs, 4 corners of the earth, 4 horns on altar, 4 tassles (tzit-tziyot), 4 living creatures, 4 horsemen, 4 rivers of Eden, 4 winds, 4 gospels, etc. On the negative side there are 4 beasts (Dan. 7:3). The fourth one is diverse from the others and has 10 horns (see info for 10 below). Then an eleventh horn emerges (see info on 11 here) that seeks to change times (appointed seasons/feast days) and law (God’s Torah). (Dan. 7:25) This in direct opposition to the calendar/clock/seasons/law that YHWH gave on day 4 of creation. Fourth Hebrew letter: Dalet Numerical value of four. Pictographic meaning door, draw out or in, knock, path, way, portal to heaven, dominion, control, bough, and branch. The Passover Seder is structured around fours: the Four Questions, the Four Sons, and Four Cups of Wine. On day 4 of creation, the sun, moon, and stars are placed in the sky (natural light) to govern the moedim (feast days). They mark time and give signs. Their natural light separates from the darkness. God’s calendar and prophetic clock were established on day four of creation. Negative side: A heart that devises wicked imaginations, becoming full of false light. (Pr. 6:16-19) Giving authority to the beast and appetites of desire. Four also results in judgment, as in the four horsemen. When the Word is tested in an individual, it will produce life (davar) or pestilence (dever). Four is indicative of AUTHORITY. The fourth branch on the Menorah is the center, main shaft. It is the source for the other 6 branches. Yeshua stands in the midst of the menorah. (Rev. 1:12-13) On the fourth day of creation, YHWH declared His GOVERNMENT of the earth and all who dwell in it by creating the sun, moon, and stars. These celestial bodies faithfully keep and proclaim His calendar, His months, His weeks, and His holy days to the world. Only the Creator of the Universe has the ability to define and regulate a man’s clock and calendar. Our life (time) is limited and decreed by the King of all Creation. Every second of our lives is in the palm of His hands whether we recognize His authority or not. Thus, TIME and AUTHORITY are intrinsically linked with day four. Four and seven have many common factors. They depict holy places in both space and TIME. (For more on this see Rivers of Eden.) Fullness and completeness are characteristics of Abba’s House. As the door (delet), four shows one the Way into the Throne room of Adonai. Yeshua is the door for the sheep. (John 10:7-9) It is impossible to get this close and personal with YHWH by entering another door or way. The fourth feast is Shavuot, which commemorates BOTH the giving of the Holy Torah (Covenant) and the Holy Spirit (Seal). Pentecost isn’t complete without both. (See more about the fourth feast, Pentecost here.) Moreover, the Sabbath is the “oht” or sign Between YHWH and His people for all generations, as is keeping the Feast of Unleavened Bread. (Ex. 13:9, 31:13, 17) The “oht” were given on day four of creation. Chamesh [f.], chameeshah [m.] Power, strength, alertness (wake-up! ), Torah, grace, service, gospel, fruitfulness, going forth, fast movement, anointed, prayers, and protection. Holy incense and oil had 5 ingredients. (Ex. 30:23-25, 34-35) We are empowered by the Word (Torah) and the Spirit. All is given by God’s mercy and grace. There are five Books of Torah (Moses/Law), 5-fold ministry, David’s 5 smooth stones defeat Goliath, fruit from trees is fit to eat in the 5th year. Fifth Hebrew letter: Hey Numerical value of five. Pictographic meaning breath, air, spirit, femininity, and behold (to make known). As prefix, it is the definite article “the”. On day 5 of creation, the birds and fish were created. They move fast and carry seed throughout the whole earth in their migrations. Like them, we are anointed and filled with the Spirit to carry God’s Seed, the Gospel throughout the earth. There are five divisions to the Psalms. Five is indicative of being filled, prepared, and empowered to go forth on whatever mission YHWH has given one to do. Five books of Moses completes YHWH’s instructions to His people. His Torah is the Seed carried throughout the earth by the spiritual birds and fish. The five books of Torah are the five loaves that feed thousands with plenty leftover for those that come later. Women have just as much inheritance in the Torah and spreading its message as men, which is pictured in Zelophehad’s daughters. Five is associated with prayers and being anointed, as both the incense and the anointing oil had five ingredients. This indicates that anointment and prayer are POWERFUL. Both define and declare YHWH’s authority, gifts, callings, favor, direction, purpose, and will. They release a sweet fragrance. Both can be a hedge of protection like the clouds, the seal, and the “hiddenness” of Yom Teruah. Five also indicates maturity and unity. Notice how perfectly synchronized the movements of flocks of birds and schools of fish are in the mayim (waters) and shamayim (heavens). Though they are many, they flow as one fluid Body. This is the Spirit of Power. Shesh [f.], sheeshah [m.] Image, man, beast, flesh, sacrifice, intimacy, finished work, knowledge, sacrificial love, number of man and beast, antichrist, idol, and judgment. Six usually refers to the works of man, but ideally represents sacrificial love and intimate knowledge with the Creator (Da’at). When the latter is forsaken, only idolatry and flesh remain. We are ALWAYS either projecting the image of God or the image of the beast (flesh), which is represented by the number six. Sixth Hebrew letter: Vav Numerical value of six. Pictographic meaning of hook, nail, to connect, tent peg, add to, attach. As a conjunction prefix, it means “and.” The number six reveals whether we are connected to Adonai or the beast/flesh. On day 6 of creation, beasts of the field (land creatures) and mankind (male and female) were created. Mankind is designed to rule over the beasts of the field. Negative side: A false witness that speaks lies, being a witness for the enemy or for the lusts of the flesh. (Pr. 6:16-19) [See the number 24 for a giant that followed this image of the beast (6) that actually had 6 fingers on each hand and 6 toes each foot]. Peter had a vision of a sheet with unclean beasts at the sixth hour. (Acts 10:9) The vision was a parable; the beasts represented people (men), not food. Peter saw the sheet 3 times and 3 Gentile men (3+3=6) came to see him. (Acts 10:28-29) This story is a great example of how to discern between the Spirit of Adonai and the desires of the flesh, or the number six. How do you view Peter’s vision? A flesh ruled person (6) can and usually will twist this encounter to condone the appetites of the flesh; that is, eating unclean animals that YHWH designates as an abomination [Lev. 11]. To their credit, most have been taught by misinformed and/or ignorant teachers to view Peter’s encounter as a license to indulge in the desires of the flesh. In other words, they’ve been deceived and are not in outright rebellion. On the other hand, one that knows God’s Word and commandments will not be looking for a loophole to disobey what is written and will immediately discern the context of Acts chapter 10. Peter himself PLAINLY interprets his own vision. The unclean animals symbolize men, and have nothing to do with food or eating what God has forbidden. We must have the mind of Messiah, not a mind set on appeasing the wants, desires, and appetites of the flesh. The beauty and depth of Peter’s vision has been tainted by the desire to consume swine’s flesh for far too long. Peter’s vision is about God’s love and acceptance of people from all races, tribes, and tongues. You must decide which interpretation is spiritual and which one is from the desires of a beast. This decision is made in the sixth hour (noon) when the sunlight is at its peak in the sky. In other words, there should be no ambiguity or darkness to blind one to truth. See also Dr. Robin Gould’s book, Peter’s Vision: Beacon or Bacon. 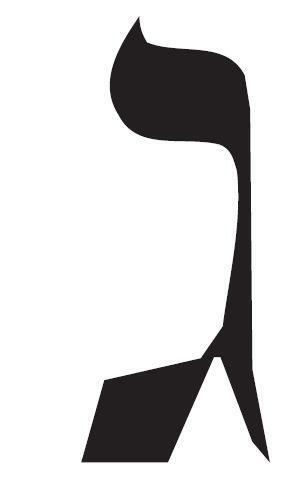 Shvah [f.], sheevah [m.] wholeness, completeness, being ripe, rest, order, stability, and holiness. Also, the number of the Temple, Adonai’s House. We rest (7) in the finished work (6) of the Messiah. There are 7 days of creation, 7 days for Temple dedication, 7 Spirits of God, 7 feasts of God, 7 churches in Revelation, 7 stars in Yeshua’s hand, 7 golden lampstands, 7 seals, 7 trumpets, 7 bowls, 7 thunders speak in Revelation, 7 eyes of the Lord, 7 horns & eyes on the Lamb, 7 abominations (wicked lamp spirits Pr. 6:16-19), the priest of Midian (Moses’ father-in-law) had 7 daughters, Joshua had the people along with 7 priests march around Jericho before the Ark for 7 days. 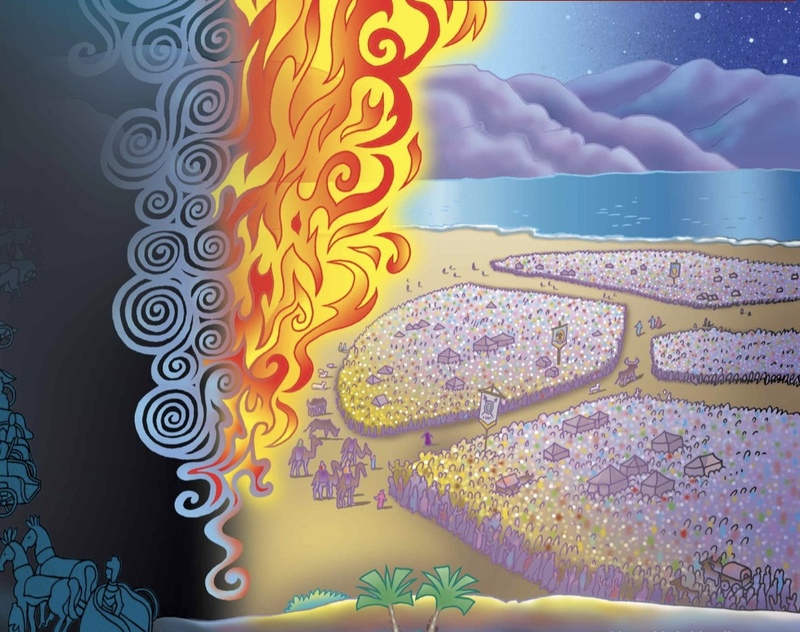 On the 7th day, 7 priests blowing 7 shofarim along with the people circled the city 7 times. On the 7th circuit, the shofars sounded long and the people shouted and the walls fell. Sampson had 7 locks of hair in which were the source of his strength (Holy Spirit), Elijah sent his servant to look for the indication of rain 7 times, Elisha had Naaman wash in the Jordan 7 times to be cured of his leprosy. Elisha laid upon a dead boy; he sneezed 7 times and rose. King Joash began to reign at age 7; he began to rebuild the Temple of YHWH. King Hezekiah reinstated the observance of Passover (1st feast) and Unleavened Bread (7 days). The people were so excited they celebrated an additional 7 days. Pure, white light refracts into 7 colors (prism, rainbow). Seventh Hebrew letter: Zayin Numerical value of seven. Pictographic meaning plowshare, weapon, sword, to arm, to adorn, to cut, to feed, completion. 1st verse of the Bible has 7 Hebrew words with 28 (4×7) letters. 7 of the Ten Commandments are negative and begin with the Hebrew loh, or no/not, as in thy shall not. 7 weeks (7 x 7) are counted to get to Shavuot (Pentecost). Likewise, 7 x 7 years are counted to reach a Yovel (Jubilee) year. Each of these 7 year bundles are a Shemittah year or a year of release. On day 7 of creation, God rested from His work. He set the 7th day apart as holy. 7 transcends the natural and moves into the supernatural. We begin every week (and even every day as the day begins at sunset) by RESTING. This is the pattern from the very beginning. We rest first in the finished work of God, then we go to work (perform good deeds). Negative side: One who sows discord or strife among brothers, tearing down the house. The opposite of restoration and rest. Chaos in the house and in relationships. Becoming wholly wicked. (Pr. 6:16-19) Destroying G-d’s Temple or House. Destroying creation, order, stability, and life. Rejecting the Kingdom and YHWH/Yeshua as King. Cup of iniquity, abominations, and wickedness becoming full – destruction. Shemoni [f.], shemonah [m.] Literally to “make fat.” New beginnings, not just complete (like 7), but satiated. Becoming “fat” is having more than enough. Full to overflowing. Moves from natural to supernatural. Transcends natural time and space to supernatural realm. Figuratively, eight takes one through a full cycle of seven, and begins anew – the One Day. 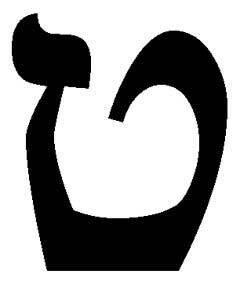 Eighth Hebrew letter: Chet Numerical value of eight. Pictographic meaning wall, fence, protect, new beginning, separation, sin, outside, olam olam. Covenant (pictured in circumcision on 8th day). The Tabernacle was dedicated in an eight-day ceremony. Transfiguration occurred on the 8th day (Luke 9:28); and Peter wanted to build 3 sukkot (tabernacles) for Yeshua, Moses, and Elijah. This is a direct reference to the season of the transfiguration: Sukkot – the 8-day feast of YHWH. It also reveals the realm outside of natural time and space – the future One Day. Torah (Law) is elevated to the spiritual realm in Ps. 119 by following an 8 verse alphabetical sequence. (See also Ps. 19:7) Paul says, “the Law is Spiritual” in Rom. 7:14 indicating that it is above the natural realm of carnal flesh. Elijah performed 8 miracles; and Elisha doubled that with 16 (a multiple of 8). Eight souls were saved from the flood in Noah’s day, a new beginning. Chanukah (a late Sukkot festival) is eight days long. 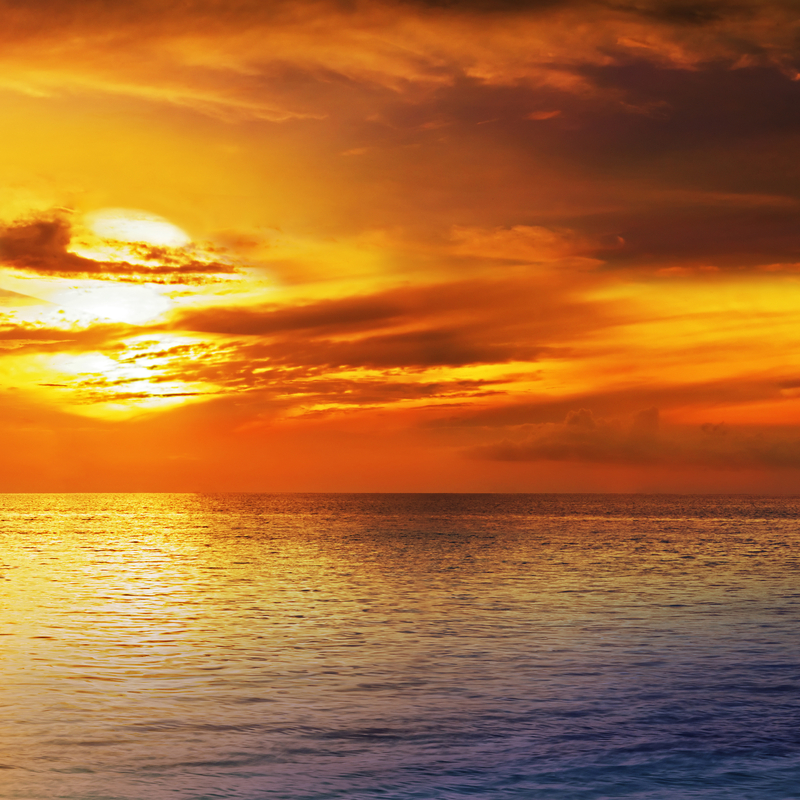 It’s major themes are overcoming darkness and heavenly miracles. Shemini Atzeret, the last great 8th day of Sukkot asks one to linger (add to over flowing) one more day with YHWH. Eight is past the completed work of seven and moves one into the realm of the supernatural or the world to come. It also depicts new beginnings as Hebraic thought sees time and the calendar as cyclical, rather than linear. It is a doubling of four or authority and government. 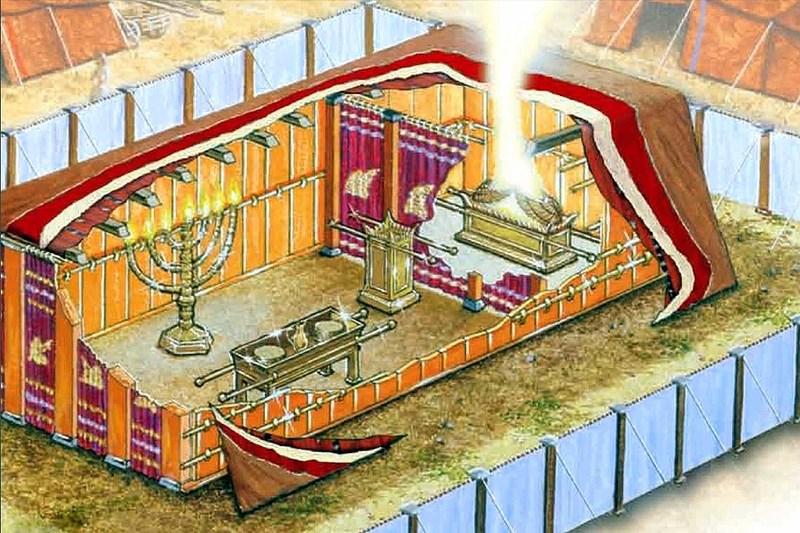 Thus, eight is a re-creation of the House/Tabernacle/Temple of YHWH. 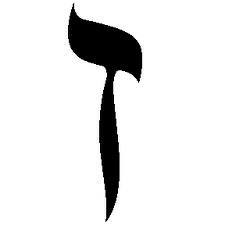 Coupled with the letter “yohd” (also the symbol for 10) makes the Hebrew word chai or LIFE. Tehshah [f.], teeshah [m.] Last and largest single digit. Signifies finality, judgment, harvest, fruitfulness, the womb, duality (good/evil), concealment, truth, loving-kindness, fruit of the Spirit, turn to look upon/gaze, hour of prayer, etc. When nine reveals what it conceals inside, there is fruitfulness, multiplication, and the building of the House. 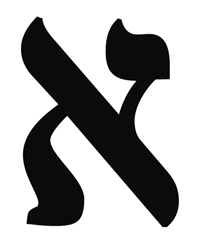 Ninth Hebrew letter: Tet Numerical value of nine. Pictographic meaning basket, good/evil, snake, surround, knot, twist, spiral, fruitfulness, repentance, judgment. Human gestation lasts 9 months, linking the number nine to birth, fruit, and life. Feast cycle covers 9 months, again linking nine to birth (salvation), fruit, and life. Chanukah (Feast of Dedication) falls in the ninth Hebrew month (Kislev). The chanukiah menorah has nine branches, which represents the normal 7 branched menorah that in tradition, miraculously stayed lit for 8 days with only enough oil for one day. For more on nine, click here. Esehr [f.], ahsahrah [m.] Divine order, completed cycle, measure, or group (congregation) whether for good or evil, blessing or judgment. A tenth part represents the whole in a tithe. Thus, ten represents a complete congregation, body, or kingdom, whether good or evil. Tenth Hebrew letter: Yohd Numerical value of ten. Pictographic meaning hand, work, worship, deeds, fist, power, congregation. Shows the possessive singular and past singular. Abraham’s servant brought 10 camels as gifts to Rebecca. He knew she was the one because she watered them. (Gen, 24) Her brother (Laban) and her mother wanted her tarry with them for ten days. Could these represent the 10 Words and what helps the Bride to endure the wilderness until she meets her Groom? There were 10 of 12 spies that gave a bad report to Israel, costing them forty more years (4 x 10) in the wilderness. Foundation of Tabernacle was made from 10 x 10 silver sockets. Fire came down from heaven 10 times (6 were in judgment). Ten Virgins (5 wise, 5 foolish). Ten lost tribes of Israel. Ten generations from Adam to Noah. Minyan is made complete with 10 men. Ten Days of Awe between Rosh Hashanah and Yom Kippur. Day of Atonement falls on 10th day of Tishrei. In the Parable of the Lost Coin (Luke 15:8-10), the woman has a total of TEN silver coins. (Silver is the metal/color of redemption.) When she loses one, she lights a lamp and sweeps the HOUSE, until she finds the lost coin. Then, she and the entire community rejoices at finding the “lost” coin. The beast that the harlot rides in Revelation has 7 heads and TEN horns as does the fourth beast in Daniel’s night visions (Dan.7). The horns represent wicked kings or rulers (authority). For Hebrew numbers 11-30, click here. 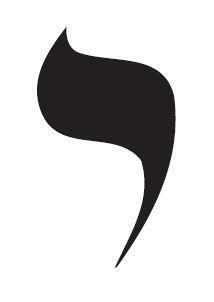 The blessings of G-D have been teaching me the Hebrew language ! Now, I have been sent here to discover by the Reach Hakodesh to learn Elohim’s numerical numbers ! You have been a blessing and inspiration! Amein.Toda Raba ve Shalom Aleichem Chavir. Gotta love autocorrect, lol! I knew what you meant. (: Thank you for taking the time to comment; it is always encouraging. May your studies be blessed! In the dream this woman was talking to me, I don’t remember exactly what was being said until she suddenly said, to me, in front of other people, that I was going to die in 96 hours. I said 96 hours? I suddenly wondered how many days that was that I had left. I said I don’t want to die, but if it’s the Lord’s will then I will. then i repeated I really didn’t want to die in 96 hrs. Some of the people around me were incredulous and said, “she’s going to die in 96 hours?” – Suddenly it was important to me how I was going to die, I asked her a bit fearfully, will it hurt? She looked very seriously at me and nodded her head yes. I said, “I’m going to be killed aren’t I” – she nodded yes. When I woke up the first thing I did was to see how many days 96 hrs would be. 4 days. I am hoping you can shed some light. I have been searching for a meaning to this dream since 2015. And now I have had another dream, very different with the same number in it 2 days ago. Dreaming of your death is a metaphor. Usually, it indicates something in you that needs to die (fleshly nature). But it can also represent major change (death of a season of life). Think back to 2015. Did some big change occur in your life, something that you grieved over like a death? What about spiritually? Did your walk with the Lord change in a major way? The numbers 9 and 6 both imply a decision of some sort between truth and a lie, and spirit and the flesh. This isn’t an easy choice. The fact that 96 hours is equivalent to four days means that this decision(s) is related to authority/rulership. We have a choice to follow Adonai or not everyday. “Choose this day whom you will serve…” The problem for all of us is that the flesh doesn’t want to die. It hates and fears change. In the new dream, you’re looking for a new home (place of rest/residency/life/Kingdom/Temple). 100 is one of the numbers for the nations and also multiplication (Seed produces hundredfold fruit when it falls on good soil). Three is new life and good counsel. Both IMO, are indicative of the House of Prayer for All Nations and producing good fruit. You really liked it, but the others didn’t see its appeal. This is often the case when we want to serve the Father and His House. It’s met with confusion and sometimes scorn. You offered 96,000 for the House. I think this is because again, it is about a decision. Thank you so much for responding! It means a lot to me and you have given me a lot to ponder. Oct 2014 I went through a breakup and had the dream Oct 2015. I was still grieving, yes like a death. Yes, my walk with the Lord also began to change, I began my road back…with many stumbles and setbacks but still on my way back. There is a lot of information here that resonates. I will pray on it for further revelation. Thank you so much and if you could ask your friend for further insights if she has them, would be very very appreciated. Thank you again, this dream has truly had me stumped but I have never forgotten it and it has been on my mind always, so I knew it was important. Also, I find The House of Prayer for All Nations part of your reply very interesting. I pay my tithing towards the rebuilding of the 3rd Temple. I figured since I don’t trust organized religion much that the best thing to do is to give directly to the Lord’s Chosen People and to the rebuilding of the Temple. Brenda, I would have to agree with Kisha here a 100%. And she really hit the nail on the head with the last portion. Yeshua said that the world would hate us, it hated him… When we start working on our temples, crucifying our flesh, and counting the cost, it can feel like a death. Just out of curiosity, how did you know the lovely Kisha had the gift of dream interpretation? And for 2 years I’ve seen the numbers 8:11 constantly on the clock, which is also my birthday. As well as the standard multiples everyone seems to see, 111.1111 – 222 555 444 888. Still causes me to pause every time I see them. I keep hoping it means something good is coming but it’s been years now soooo lol. I will continue to search those out and see but every site has different meanings, so I’ve been praying for wisdom and discernment. Yes, I had looked up all chapters and verses 8:11 yesterday morning lol…I have them all in a file. I’m not familiar with using the creation week? I’ve been thinking that 8 could mean new beginning and 11 could mean transition? I don’t know. But I constantly see 11’s, 33’s and 333’s, 444, etc. I will look at the week of creation in Genesis and see if anything jumps out at me. Thank you for the insight and ideas! On the 10th day of month one, the Lamb was to be set apart… on the 10th day before His death on the stake, Yahshua was examined by Pharisees! Excellent suggestion, Melissa! 😊 When I’m near my desktop, I’ll add it. Thank you! I just found out that my grandfather is Jewish. I’m glad you have this website I get to know more about where I come from and the meanings behind them. God is persistent He keeps on showing me numbers. This will help me decipher what he trying to tell me. A Blessing – I had just started looking at the Hebrew letters, I am drawn to them. You have opened vast information that pray for understanding. I am a late Comer and was looking for the letter 53 ,I have seen this number for at least 20 year’s. I love learning the Hebrew language, the numerical order what they mean. This root of everything that man has lost when reading scripture knowing the true nature of what things meant when the Bible was written. Thanks Debby! Many blessings to you too! I am a follower of Jesus Christ but my son stopped following the Lord. He committed suicide 5 months ago at the age of 26 and this morning I had a dream about him. He and I were walking together in a park with huge rocks, tall trees and no grass. We were crossing a small pond bridge going to see his father but when we arrived we just turned around and continue the way we came. (My son was planning on moving out of the apartment we were living in before he took his life. It seems in the dream he has moved out). As we were walking I asked him how he was doing. He replied he was doing great and begin telling me some of his activities. The one that perked my attention was he attended a mission worship concert. (my thinking is he has given his life back to Christ) I tell him if he wants to he can returned home. He moved his head to look away from me and replied no. He said, I am going to use the 151 for… I did not hear what he said. I said to him, I just want you to know if you want to come home you can. We continued to walk over the bridge and at the same time we reached for each other’s hand. We continued to walk holding hands. Just would like your thoughts especially about the numbers. I am so sorry that you lost your son. I can’t even imagine the pain of this great loss. I pray that the Lord continues to comfort you, even as He has done so with this dream. Sometimes the Lord gives us dreams for comfort, especially during times of grief. I believe that is what your dream is about. As you have likely read on my post already, 5 is a symbol of several things. In your case, having the dream in the fifth month after your son’s passing is a symbol of grace that is both sufficient and far reaching. It is a picture of the Good News and the salvation of the Lord. You were walking in a park toward a bridge to meet his father. This is The Father. He is just on the other side of the bridge – the place of transition and crossing over, even as death is a type of crossing over. This is why you didn’t cross the bridge with him. That is only for your son at this time. But he can’t return to what you mean by home. He is no longer in this realm of existence. Instead, he going to use the 151. I believe this is a reference to 7. (1+5+1 = 7) Your son’s mission is complete here (7), he is now attending and worshipping the Lord. All in all, the dream is likely an answer to your heart’s most burning questions since his death. Take comfort that the Lord has answered you. Had a dream with numbers 100’s 10’s 1 and 0 in that order….